This building is commercial and residential. 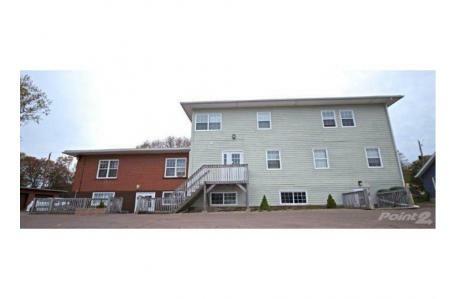 The commercial units are fully-occupied and there are 4 apartments. It is near uptown in a quaint part of town along a high-traffic street. There was an addition approximately 20 years ago. Nearby businesses include Summerside Vision Clinic, Dr. Paul Ellis Dentistry, Renew Dental & Medical, Summerside Hyundai, S&E Grocery, and Murphy's Pharmacy. There are also several schools nearby (SIS, Parkside, Elm Street) and Leger Park is next door.